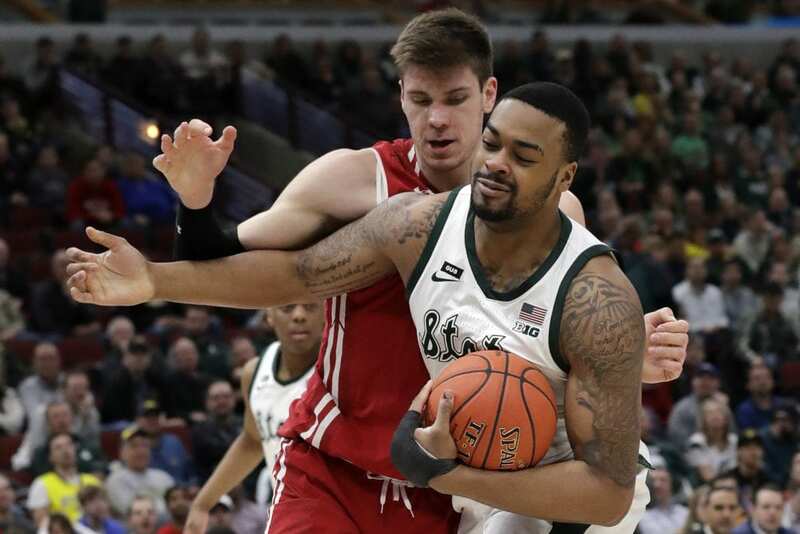 Goins, Aaron Henry and Xavier Tillman also led a dominant rebounding effort as Michigan State earned its seventh consecutive win in its series against Wisconsin. Goins finished with 13 points, 12 rebounds and two blocked shots, and Henry grabbed a career-high 11 boards to power the Spartans to a 44-30 advantage on the glass. Winston shook out his left foot a bit after he accidentally kicked Wisconsin guard Brad Davison with about 4 minutes left in the first half. 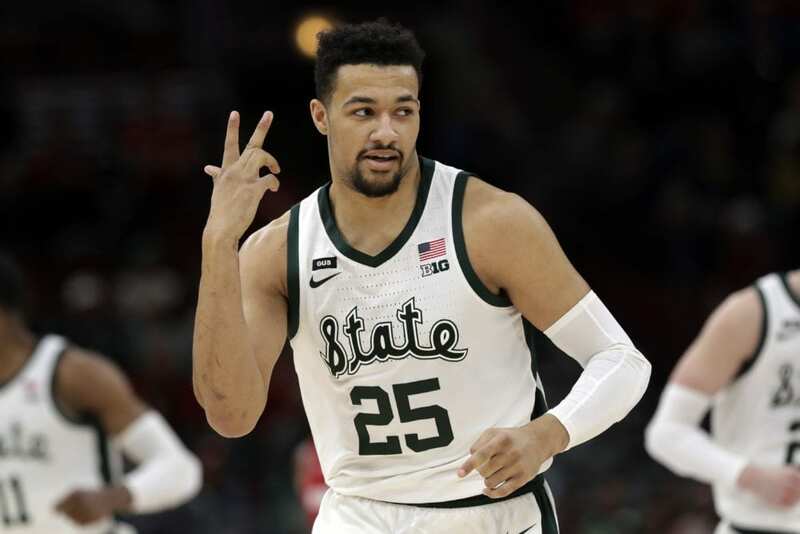 But the Big Ten Player of the Year stayed in the game and showed no sign of trouble while going 9 for 17 from the field and passing for six assists. 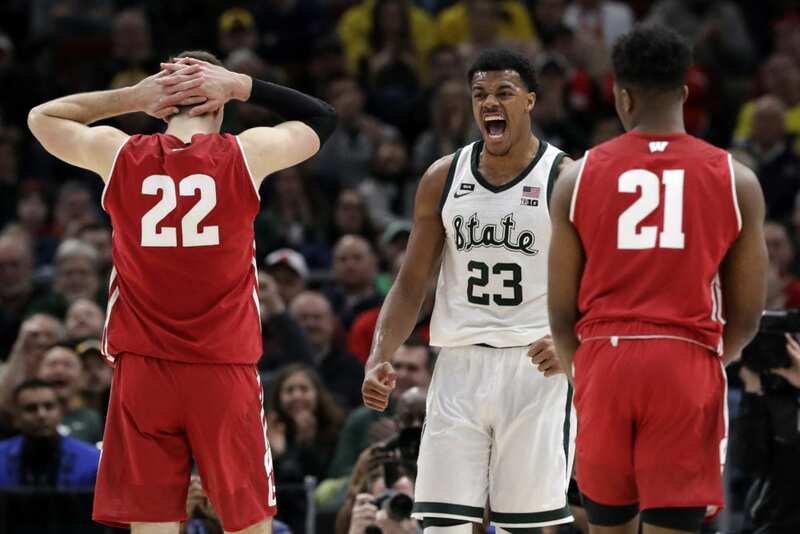 The Spartans (27-6) earned their ninth win in 10 games and will go for their sixth Big Ten tourney title on Sunday against the winner of the Minnesota-Michigan semifinal. Wisconsin star Ethan Happ bounced back nicely from a shaky performance in the quarterfinals against Nebraska, finishing with 20 points, six rebounds and four blocked shots. Kobe King had 13 points for the low-scoring Badgers. The Badgers (23-10) got off to a slow start and didn’t recover. The 6-foot-7 Goins swished his first three 3-point attempts in the first 6 minutes of the game. Tillman made a foul shot and then converted a three-point play to give the Spartans a 27-10 lead with 7:42 left in the first half. Wisconsin closed to 35-27 at the break, helped by a missed dunk by Goins in the final seconds. 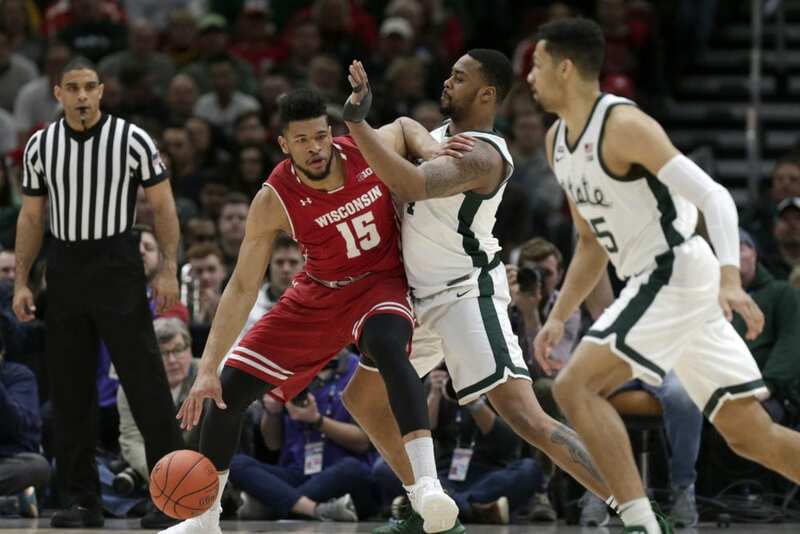 The Badgers challenged the Spartans at a few points down the stretch, but Winston and Goins had an answer every time. Wisconsin: Happ looked like his usual self, but the Badgers shot just 35 percent from the field. They also managed just three fast-break points. Michigan State: Typical Spartans in March. Tillman’s performance likely delighted coach Tom Izzo. He finished with 17 points and seven rebounds. Michigan State: An opportunity to strengthen its case for a No. 1 seed in the NCAA tourney. Be the first to comment on "Winston, Goins Lead No. 6 Michigan State Into Big Ten Final"